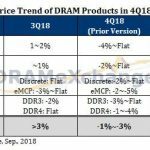 NAND flash prices are expected to fall by five percent in the first quarter of 2018 due to production capacity expansion and lower demand during the traditional off-peak season, according to DRAMeXchange, a division of TrendForce. Demand from notebook, tablet and smartphones (primarily Chinese branded) is expected to fall by more than 15 percent in the first quarter of 2018 compared to the fourth quarter of 2017. This means overall bit demand will drop by zero to five percent. 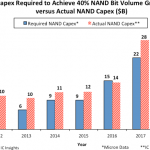 At the same time that demand is dropping, suppliers are improving their production capacity and yield rate of 3D-NAND flash, translating into a bit output increase of more than five percent compared to the fourth quarter of 2017. 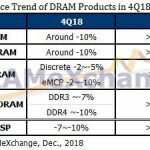 This will lead to an oversupply situation in the first quarter, resulting in lower contract prices for NAND flash, SSD and wafers, according to DRAMeXchange. “As for NAND flash suppliers, they always try to keep the contract price on the high side, but they should also consider the current market condition, that is, they may need to decrease the price first to boost the demand,” added Chen. In a recap of the year, undersupply was intensified by the transition from 2D-NAND to 3D-NAND in the first quarter of 2017, which resulted in production capacity loss. At the same time there was strong demand from Chinese vendors like Huawei, OPPO, and Vivo, said DRAMeXchange. The result: contract prices of eMMC/UFS, client SSD, and enterprise SSD all increased by more than 10 percent in 1Q17 compared with 4Q16. Increases of NAND flash prices started to slow in the second quarter of 2017 when demand from Chinese-branded smartphones was lower than expected although demand for NAND flash from notebooks and tablets increased. 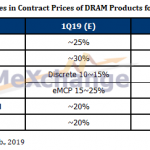 In the third quarter, contract price increases for NAND flash started to stabilize, ranging between zero to six percent. However, the gap between supply and demand widened in the second half of the year with the launch of the new iPhone and higher demand for SSDs in servers, said DRAMeXchange. Micron’s Mehrotra sees “healthy” inventory levels. 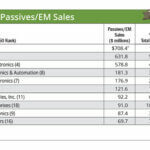 “It’s nothing unusual in terms of inventory, both for DRAM or for NAND,” he said at the Credit Suisse conference. 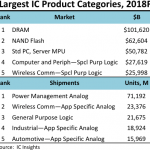 The second half of 2018 could be a different story for NAND flash prices and supply. The oversupply situation is expected to lead to lower prices for end products and OEMs using more advanced products. 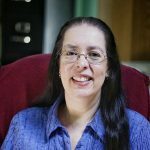 However, it will also result in an increase of memory content. So when the peak season hits in the second half of 2018, NAND flash may end up in tight supply again, according to Chen. 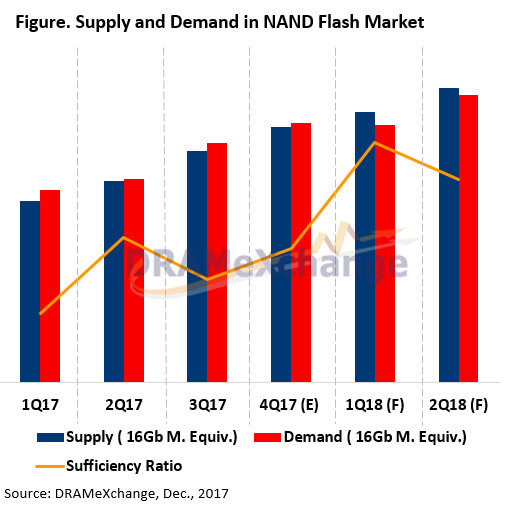 DRAMeXchange anticipates stable or slightly higher contract prices for NAND flash in the second half of 2018, said Chen.